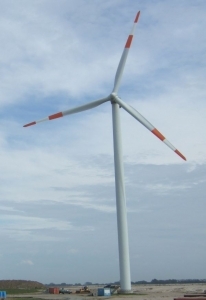 The wind turbine D8.2 WinDrive® is a production of DeWind AG, a manufacturer from Germany. The rated power of DeWind D8.2 WinDrive® is 2,00 MW. At a wind speed of 4,9 m/s, the wind turbine starts its work. the cut-out wind speed is 25 m/s. The rotor diameter of the DeWind D8.2 WinDrive® is 80 m. The rotor area amounts to 5.026 m². The maximum rotor speed is 18 U/min. The DeWind D8.2 WinDrive® is fittet with a combined spur / planetary gear WinDrive gearbox. The voltage amounts to 10,000 V.
In the construction of the tower, the manufacturer uses steel tubular. 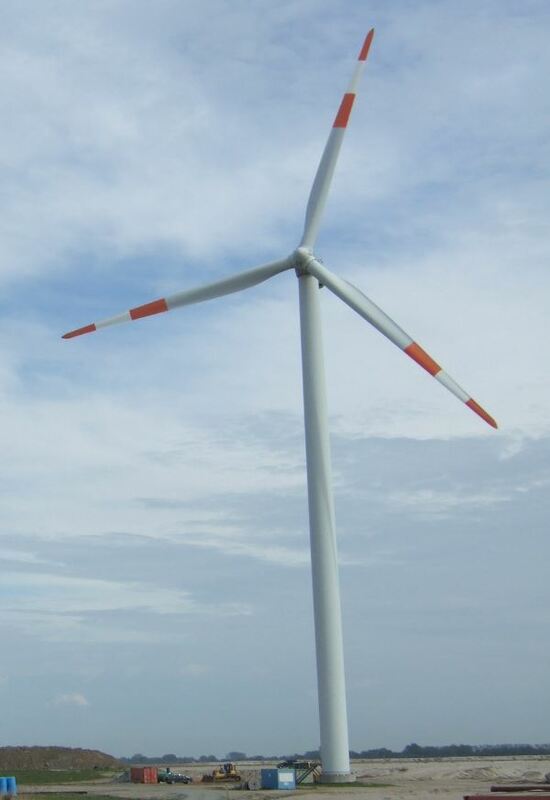 There is one picture of the wind turbine D8.2 WinDrive®. One model has been entered to the wind turbine. This is the DeWind D8.2 WinDrive® - Fair model. Power data for the D8.2 WinDrive® of DeWind are not stored in the system. The DeWind D8.2 WinDrive® has been listed since 04.11.2011.